This kart is what you need to complete dangerous levels. Jump when you need to collect coins. Have you ever wanted to be a driver? 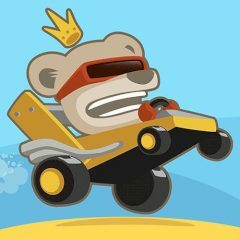 In this game kart is yours and you have to complete the level by jumping through the magnificent landscapes.